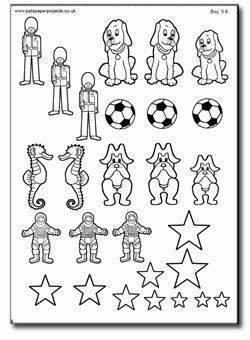 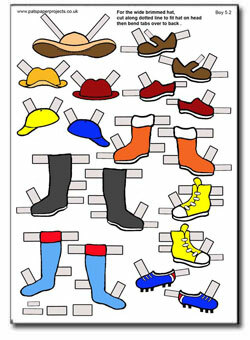 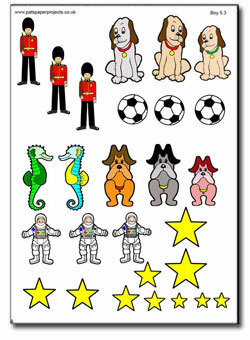 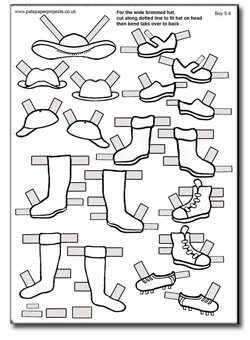 If re-stickable glue is not available, this page offers some examples of clothes with tabs, in colour and black and white. 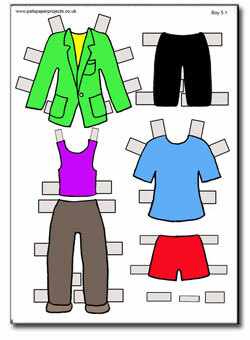 When cutting out the clothes, just leave tabs in the positions shown and bend them around the back of a free standing boy figure to hold the clothes in place. 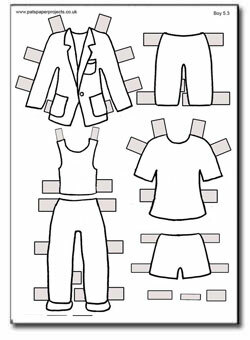 If the clothes are a loose fit, the tabs can be held in place temporarily by securing them at the back with a small piece of masking tape, this will be easier to remove than Scotch tape (Sellotape).